Indians righty Tia Tiedemann (0-2, 4.76) faces RHP Cole Bellinger (1-1, 5.73). Tiedemann is still in search of his first win of the season. He is coming off back-to-back losses but allowed just two earned runs in his last start at Hillsboro on June 29. He’s also had four strikeouts in each of his previous two outings. 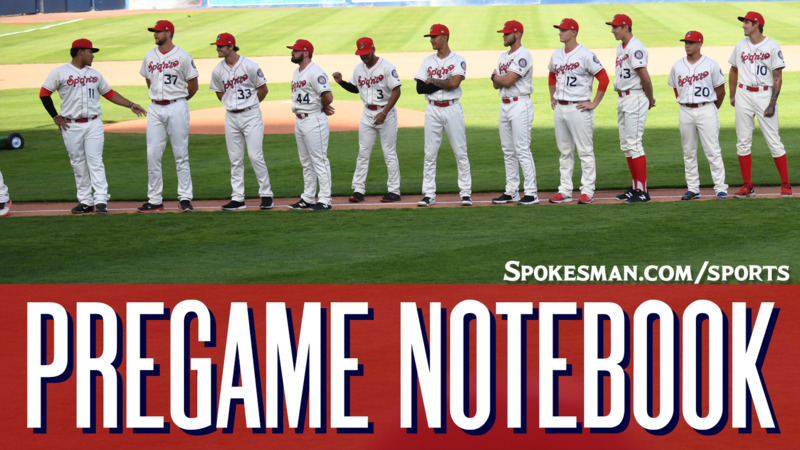 Bellinger, the brother of Dodgers first baseman Cody Bellinger, earned his first pro win on June 17 with five shutout innings against Salem-Keizer. The last two times out haven’t been as solid: he’s allowed seven runs on eight hits and six walks over six innings. Lineup: 1) CF J.P. Martinez; 2) 3B Tyler Depreta-Johnson; 3) SS Diosbel Arias; 4) DH Curtis Terry; 5) LF Tanner Gardner; 6) RF Starling Joseph; 7) 2B Cristian Inoa; 8) 1B Hasuan Viera; 9) C Scott Kapers. Player to watch: INF Diosbel Arias leads the club in five offensive categories: Average (.365), hits (223), doubles (six), on-base percentage (.444) and runs (17). Arias has hit in seven of his last eight games, including four multi-hit games. Promotion: Didn’t get a chance to see fireworks on the 4th of July? Now you have a second chance on the 5th of July! Catch a spectacular fireworks show after the game. Weather: Game time – Sunny, 92. Final out – Clear, 76. Published: July 5, 2018, 4:08 p.m. Updated: July 5, 2018, 4:27 p.m.